Achieved the preparation and presentation of my last two fragrances and waiting for the next development of EsperienzeOlfattive brand in 2013, i am back to my perfumed research, to my different projects that i try to keep up in parallel with my perfumery activity and from which often find information and inspiration for new scented things and to keep up my creativity. one of this projects is the research for old scents, of the materials and the techniques used for their preparation. 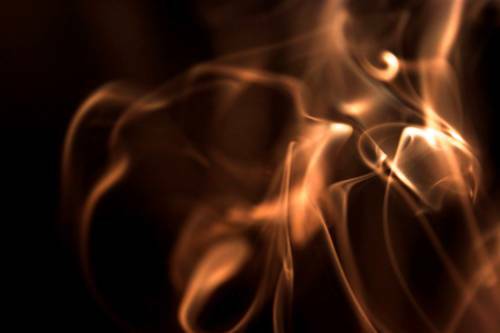 with this scope i dedicate most of my time to the documentation study i found for Kyphi, the mythical old Egypt incense, with the aim to try to make this incense following the old recipe from Edfu temple, with the more similar raw materials used at the time by old priests. 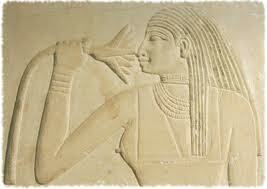 the hieroglyphic interpretation on the exact nature of the ingredient used often is not univocal. 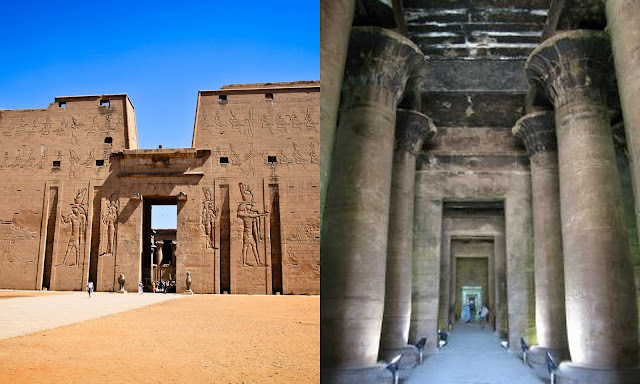 So, at today, of the sixteen original ingredients carved on the laboratory walls of Edfu and Philae temples, thirteen are almost certain while on 3 there is still strong doubts on their botanical identification. Who will have the pleasure to read the book, could get into the detailed explanations of the hieroglyphic translations and on the debate over the several interpretation done. Mr Vermillion has devoted twenty years of his life to make light on several aspets of Kyphi, translating personally the hieroglyphics from the existent literature. “Asphalatos”, wood-root (Convulvus scoparium) ? Galbanum, seeds-stems (Chaerophyllum sp.) ? the ingredients marked by a question mark (7,9,12) are the ones with identification doubts, while the ones with the double entry (1,6,15) highlight an interesting hypothesis: from the 2 recipes found in Edfu, the one recognized as newer report similar but not egual ingredients of the older one, as that through the years these materials couldn’t be supplied steadily and from here the necessity to find substitutes that guarantee the final result. 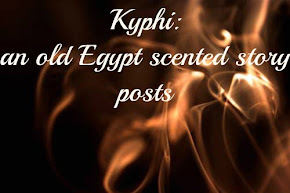 We should remember that old Egyptians burnt enourmous quantities of resins as frankincense, mirrh and kyphi and that probably they could reach points where some ingredients wasn’t available and so was necessary to find substitutions to guarantee the constant fumigation of the temples. Above all, the most mysterious ingredient is Asphalatos, probably a shrub wich wood and especially the roots valued for ointment making and with castoreum odor (Pliny the Elder, Natural History). The definitive botanical identification of the plant is not still possible and maybe will never be: through what seems the more complete description due to Pliny, it was identified an shrub from the Canary Islands, Convulvus Scoparius, that effectively has a scented wood and root and that maybe at the time was more widespread in Mediterranean islands (Rhodes is mentioned by Dioscoride in his Materia medica as one of the source country) and in part of north africa region (today’s Libia). On several old perfumery books (es. Poucher’s) it is found the existence of an essential oil called Rhodium that comes from Covulvus Scoparius with a sandalwood-rosy scent. But at the best actual knowledge, this ingredient remains unknown. Wine production from grapes is well recorded in egyptian papyruses. Nilus delta was the principal production area; there was both red and white wines. 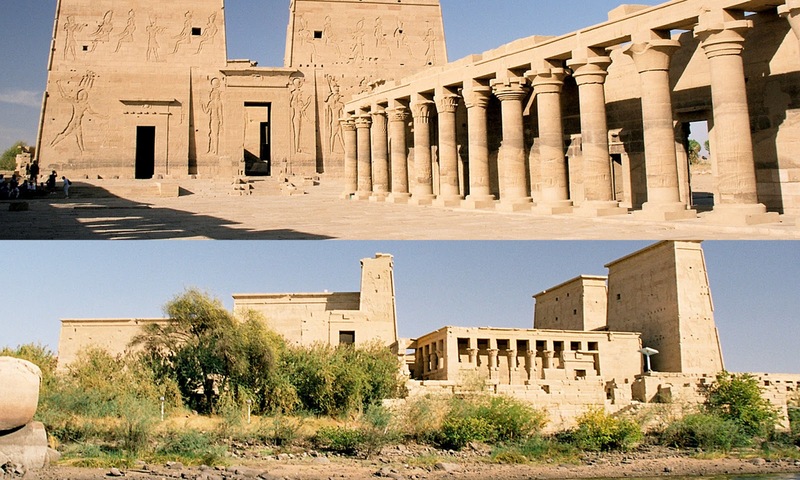 from the Kyphi’s hieroglyphic translation we know that were used 2 types of wine where one type was called “oasis wine”: in south egypt there are several areas known for their oasis and even if it was identified the west desert oasis (Dahkla oasis) as origin area, what kind of wine was done there is unknown. It is possible too that this was more a daet wine, obtained from dates fermentation that in deset oasis where present and largely cultivated as food. Beverages called “wines” and obtained form several fruits ai pomengrades, dates, figs were common at the old egyptian ages and more (here agian Pliny is a velid witness). on their taste we could argument from the descrition that arrive to us, (often added with resin or honey to let them more drinkable) but the taste are changed over the milleniums. the indicated and translated ingredient as galbanum is not referred to the well known resin used in perfumery today from ferula galbanifera, but more probably the seed and stems of Chaerophyllum sp.. Another reference suggest for this ingredient floers from Henna plant (lawsonia inermis) but for this kind of ingredient there is still a lot of doubts. In the next post, as soon as i will finish to find the known ingredients and changed the doubt ones based on technical and good sense toughts, i will describe the preparation for Kyphi. Once done, will be tested on an incense burner to discover the smell of the ancient Egyptian temples.